By now, the rumors have become all but true: John Fox will be the next head coach of the Chicago Bears. After being the head man in Denver for the past four seasons, Fox has decided to move on to Chicago, where he will be tasked to rebuild the Bears and bring back winning football to the Windy City. When I first heard the Fox rumors, I wasn’t too thrilled. Here was a guy who’s coached with two different teams already and hasn’t won a Super Bowl. Yes, he was able to take both Carolina and Denver to the big game, but he was never able to get them over the hump. Also, no coach has ever won a Super Bowl with two different teams, so why would we think Fox could not only get the Bears to the Super Bowl, but also actually win it? If he hasn’t won it already, chances are he won’t be able to win one with the Bears. Even with all of that said, though, I think this could be a good hire for the Bears. I don’t see John Fox being the long-term answer in Chicago, but what Fox can do is bring stability to an otherwise unstable organization at the moment. Just last week, the Bears hired Ryan Pace to be their general manager, a move that I like a lot. At the age of 37, he’s the youngest GM in the league, which means if he does his job right, he could be with the Bears for a long time. With him being so young and it being his first GM job, though, he could benefit from having an established head coach. Insert John Fox. 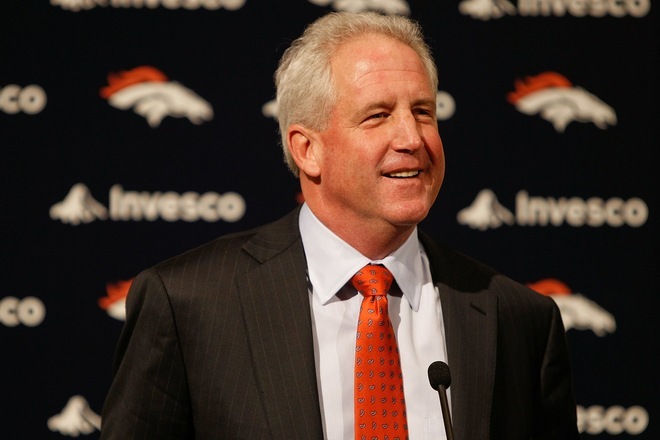 You know what you’re going to get with John Fox. He took two rough situations in Carolina and Denver and led them all the way to the Super Bowl. He commands respect out of his players, and he has become one of the better coaches in the NFL because if it. Hiring a guy like Fox is a smart move for a young GM like Ryan Pace. Instead of taking a big risk and going after a guy without any experience, Pace was able to get a guy who brings instant credibility and respect to a locker room that looked lost and disinterested by the end of the season. The players will want to play for Fox, and, in return, will play better football because of it. Now, as I mentioned earlier, I don’t think John Fox is the long-term answer for the Bears. He’ll be able to patch things up and help get the Bears back in the right direction, but I think there’s a bigger picture that the Bears’ front office needs to be looking at. In my opinion, give Fox three years to help rebuild this team. Have Fox, Pace, and the rest of the front office go out and draft some impact players in the draft, sign some free agents that could benefit the team, and start building up a young, talented core of players. Then, after three years, you let Fox go and promote the offensive coordinator, whoever it is, to head coach. There’s one guy in particular I’d like to see this happen with: Kyle Shanahan. There have been rumors that Fox would like to bring Shanahan in to be his offensive coordinator, and I think that would be a brilliant move on his part. You could have Shanahan learn under Fox about what it’s like to be a head coach in the NFL. Then, in a couple years, when Fox has ran his course as head coach, you can promote Shanahan to be the head man for the Bears. By then, he’ll be 38 years old, had experience being an offensive coordinator for nine years, and will be groomed and ready to go to become the head coach of the Bears. If executed right, Shanahan could be in a great position to succeed as a coach. And, in three years, it will become a lot easier for the Bears to get rid of their “star” quarterback Jay Cutler. Look, I can barely stand the thought of one more snap from Cutler let alone three more years of the guy, but with the amount of money the Bears owe him in the next few years, the chances of cutting or trading him look bleak. During these next three years, though, is when the Bears should draft a young quarterback for the future. I’m not saying they have to trade up and get a top-rated quarterback, but they should look to take a QB in the second or third round. They take someone who they can plug in to their system, and once Cutler’s contract doesn’t become as ridiculous with guaranteed money, they can cut or trade him, opening the door for the young quarterback to step in and take charge of the team. I know it’ll be hard to be patient, but let’s be honest: the Bears don’t have much of a chance to win the Super Bowl these next couple of years. Bringing in a proven man like John Fox will help straighten out this organization now and get them back to playing respectable football. Then, after building up a young team with a lot of young talent, Fox can turn it over to a guy like Shanahan, who can take that young team all the way to the Super Bowl. Obviously there are a lot of factors that play in to that, but if it works, it could get the Bears back to where they want to be: on top.